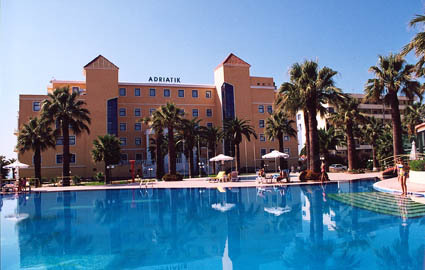 rounded by a wonderful palm-garden the hotel offers a neat and peaceful atmosphere for visitors. The rooms have mini-bars, safes, direct phone-line, TV-set with satellite, air-conditioning, Jacuzzi and bathtub. Internet Wireless is available in the area of the hotel.